Monterey, California, is a small city on the Pacific Coast in Central California. It has beautiful beaches and lots of other outdoor and water activities for humans and dogs. It is often windy and cool in this beach town, so come prepared. Monterey Bay Sailing is docked at Fisherman’s Wharf, and they offer rides around the Bay waters. Leashed dogs can go on board with paying adults. The Monterey Bay Whale Watch is also docked at Fisherman’s Wharf, and they offer boat rides to go see all of the different marine life in the surrounding water. 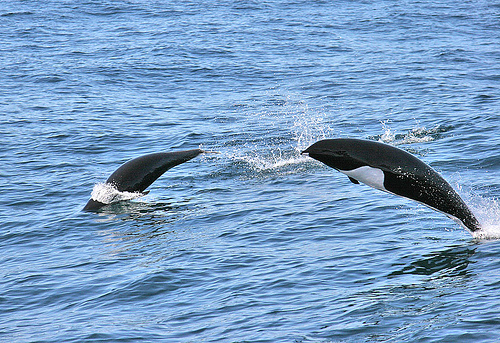 They offer several tours that are 3-6 hours long, and people can observe all sorts of whales and dolphins. Leashed dogs are welcome on board. Ventana Vineyards produces many different types of wines, some of which are unique to its area. Leashed dogs may go around the grounds and outdoor picnic area, but are not allowed in any of the buildings. 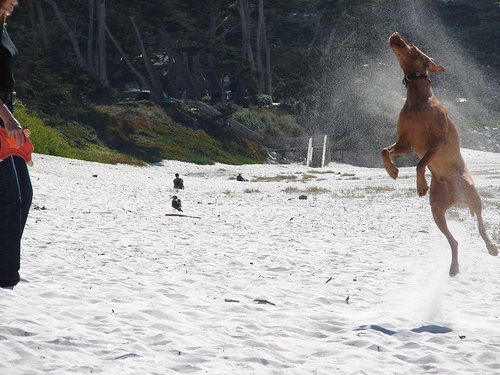 Monterey State Beach is a 2-mile stretch of sand on the Pacific Ocean, and dogs are allowed to be there so long as they are leashed. Lots of other people go to this beach for tanning, surfing, fishing, scuba diving, kayaking and other outdoor activities. The Monterey Bay Coastal Recreation Trail is a paved trail that is located on the former Southern Pacific Railroad Right-of-Way. There are separate cycling and walking paths, and in Monterey, it starts at Fisherman’s Wharf and terminates in the city of Pacific Grove. Dogs are allowed to walk this trail if they are leashed, and there are a few beach spots where dogs can go along the trail. Asilomar State Beach is located in Pacific Grove, California. 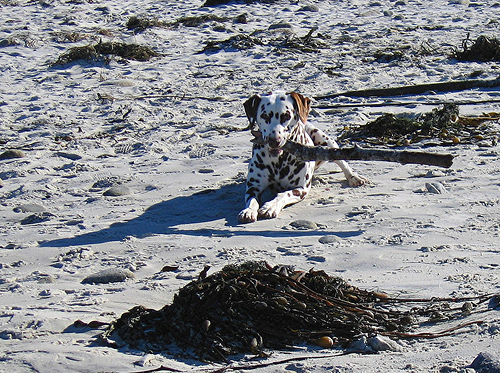 Dogs may be off-leash at certain parts of the beach, but on-leash at other parts. They can hike through the network of scenic trails if they are leashed. 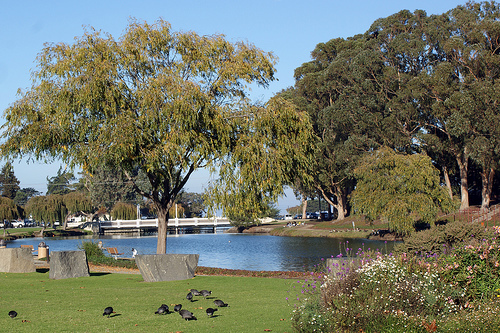 Esl Estero Park is a pleasant city park with a lake, fields and a nice trail. Dogs are allowed on leash. 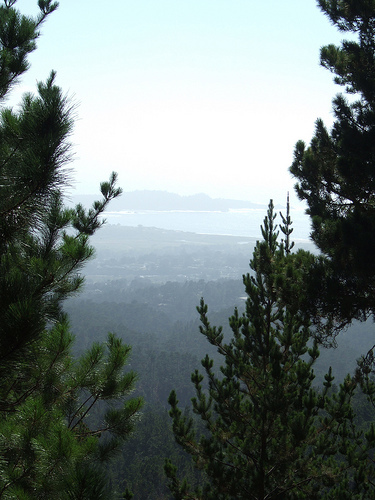 Jacks Peak County Park is a beautiful park with lots of trees and excellent Bay Views. There are 8.5 miles of trails and also some picnic areas. Dogs are allowed to explore this park on leash. The East Village Coffee Lounge offers a number of coffee drinks and small, simple things to eat. Leashed dogs may sit at the outdoor tables. Louie Linguini’s is a restaurant that offers seafood, steak and pastas. There are also stunning views of the water from this spot. Leashed dogs may sit at the outdoor dining area. The Grill @ Ryan Ranch serves lots of causal American dishes, and has many local California wines. Leashed dogs may sit at the outer tables. 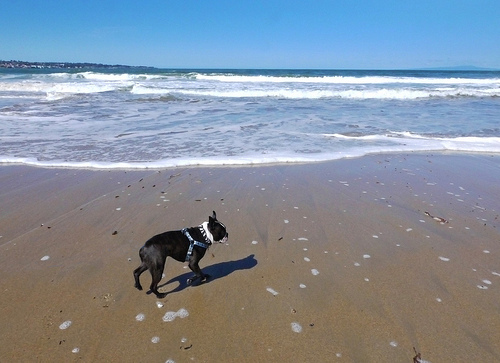 Thank you for the info on Dog friendly Monterey! Has there been any updates (2013)?